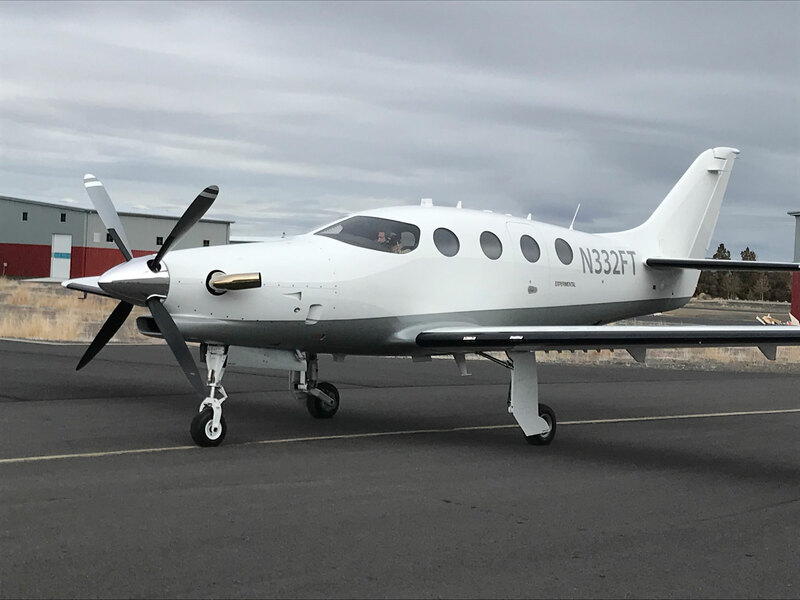 Epic Aircraft flew the second conforming prototype of the E1000 all-composite turboprop single on Monday from its headquarters at Bend Municipal Airport in Oregon. Dubbed FT2 and registered as N332FT, the airplane will be used to evaluate the interior and environmental system, in addition to the avionics, fuel, and hydraulic systems, Epic director of sales and marketing Mike Schrader told AIN yesterday at the NBAA regional forum in West Palm Beach, Florida. FT2 is equipped with Garmin G1000NXi avionics and a full interior, both of which are production standard. Meanwhile, the first conforming E1000 has logged more than 500 hours since its maiden flight in December 2015. Certification, which previously had been expected by the end of last year, is now planned for this summer. Schrader said the FAA approval process is taking longer than planned due to paperwork and minor supplier issues. The company currently holds orders for more than 80 of the $3.25 million turboprop singles. According to Schrader, Epic plans to deliver the last two Epic LTs, the kit-built version of the E1000, this year and will then switch to certified aircraft production only.